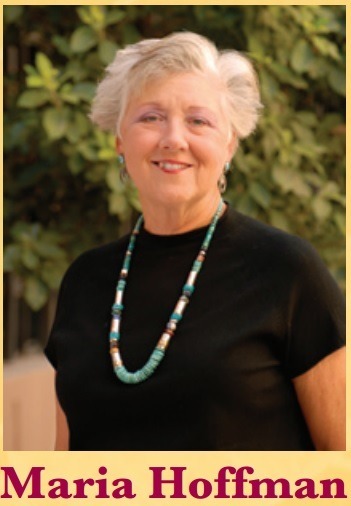 Maria Hoffman carries the title "Director of the Arizona Legislative Office of Family Advocacy." Her job description is stated to be: "Under contract to the President of the Arizona Senate and the Speaker of the Arizona House of Representatives, and working for all ninety members of the legislature, Ms. Hoffman is the only person at the legislature who handles CPS constituent issues directly and with the Attorney General’s Office." So any parent who has a question about why CPS took away their child cannot even ask their elected representatives in the Arizona State Legislature anything about their child, as all such inquires are handled only by Maria Hoffman, who is an employee and not an elected official. When people ask questions about her role or about their children in state custody, she replies by threatening them with jail time or fines, including state legislators according to one source. This is a "Family Advocate"? How can one woman have so much power to keep families apart as a paid employee of the government and not an elected official? Who is she really protecting? Health Impact News has discovered some shocking information about Maria Hoffman. Sadly this just recently happened with me as well. I didnt lose my child but was trying to protect one and started asking questions. I received the same exact threats. Great lady!! Sadly our kids dont mean anything to any of these people. I have had two of my children taken away. One when I was 15 years old and my family wasn't there to help me. So the state of CA sold my child when I was still a teenager and was unable to do anything about it. Then the state of PA stole my son when I got back from Iraq from serving my country for 13 months in country. I came back with PTSD and all kinds of medical problems so the state of PA said I was unable to take care of my child and they sold him to a family here. Thanks USA thanks a lot. Did you happen to notice that Department of Economic Security and Child Protective Services are used interchangeably? It sounds to me that they aren't trying to stop human trafficking they are the ones involved in it. This woman and all who are involved need to be removed, investigated and brought up on charges. I live in a state that happens to have one of the highest rates of human trafficking and everything stated above, if true, shows classic m.o. for child slavery and human trafficking. And with this new bill 4980 - they just made it legal to make children disappear. It gets worse! House/Senate Bill 4980 passed. If you look this up, it's an increase in adoption incentives under the guise of a bill meant to stop child trafficking, with preemptive provisions: The State will now be able to predict that a child may be subject to trafficking, so they can remove the child, change his/her namwe for their aafety, and start trafficking the child to numerous adoptions to prevent the child from being trafficked. AND....CONGRESS WILL NOT PUBLISH THE ROLE CALL, STATING ONLY THAT IT PASSED CONSIDERABLY SO NO ROLE CALL WAS TAKEN. Our Senators and Congressmen know the bill was bad enough to hide it from us and keep their names off of it!! The CPS is little more than a form of legal child trafficking and needs to be investigated from sea to shining sea, These atrocities are happening in all states. The statement about the hospital receiving $825 merely for turning over a child to CPS was rather chilling. I watched just 4 days ago as a friend had this happen to her in west Ky. CPS used a previous (unproved) allegation of "shaken baby syndrome" on another child who they terminated from this young mother, to take the newborn. Since they terminated her rights just last month on her other children after only 9 months and told her she had failed to cooperate , the newborn was an easy grab. Recent research has found that "Shaken Baby Syndrome" can be mimicked by a deficiency of vitamin D. Also "Ricketts". They traumatize the family and order them to do things that they may be financially incapable of doing, then ridicule and prosecute.them for not following court orders. THE ANSWER IS EACH CHILD IS WORTH 100,000.00 IN THE SYSTEM. THAT IS SOCIALWORKERS, APPOINTED OVERSEEERS AND ON AND ON. THE MONEY OILS THE WHEELS OF INJUSTICE. NO ONE KNOWS UNTIL THEY ENTER THIS WORLD OF HELL. CERTAINLY NOT FOR THE BENIFIT OF THE CHILD.